Medical offices have a lot of paperwork that they need to file, update and manage. Even smaller practices have thousands of files that contain patient information that is protected by HIPAA and other privacy laws. Protecting patient information and providing quality patient care is something that is vital for any medical practice. Any data breach or inadvertent release of patient information can result in tremendous fines and penalties. That’s where an offsite storage facility can come in handy. Freeing up space in your file room can really help make your internal records management easier. 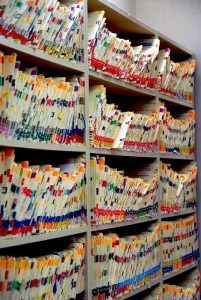 Archiving older medical records in a secure offsite facility makes it easier to find current patient files and eliminates the chance of older medical records getting misplaced or inadvertently discarded. The great thing about records storage facilities is that you still have the ability to access your medical records whenever you need to. You can request files to be picked up or delivered, and most facilities also have emergency retrieval services if you need certain files immediately. A storage facility also provides you with a secure backup to protect against fire, flood, natural disasters, and theft. Storing archived medical records and critical business files in a secure offsite locate reduces the liability and the chance of a catastrophic event destroying your patient’s medical records. Another option that is becoming mainstream in the healthcare industry is scanning medical records that are hard-copy into digital format. 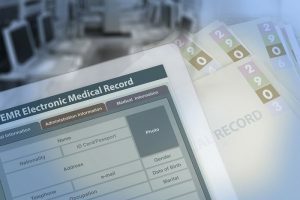 Electronic medical record systems help organize your office and streamline patient care—since all aspects of the process can be accessed from any computer or workstation, you eliminate the need to have extensive medical records for every patient on hand. 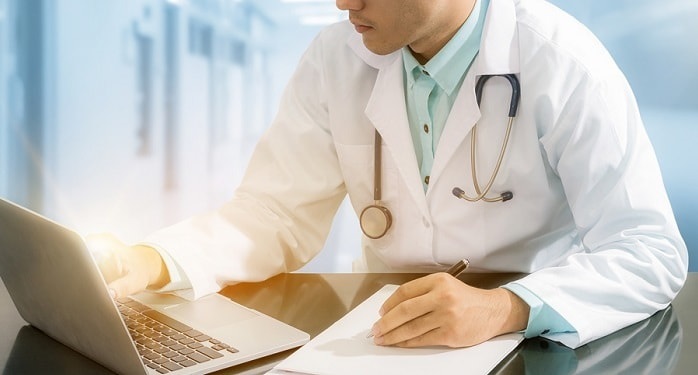 Electronic medical records allow for patient information to be passed quickly and securely from one hospital or medical practice to another, reducing the chance of a misdiagnosis or inadvertent medication reaction. It also provides an easy way to back up all the information in your patient’s medical records, which reduces the chance of data loss from a disaster and legal risks from a data breach. Record Nations can ensure that you are hiring a medical records imaging provider or secure medical records storage facility that will handle your records in a secure manner. We are the experts in medical records scanning and storage services and have created a network of professional medical records providers who are ready and capable of handling your sensitive records. To get started, fill out the form to the right, or give us a call at (866) 385-3706. Within minutes of receiving your request, you will have free quotes from experts in your area who can help you find a medical records professional that fits your needs.